I have finally finished the pillows for my mom’s living room. Here is a picture of her living room with all 4 new pillows. I really like how well they complement the room. 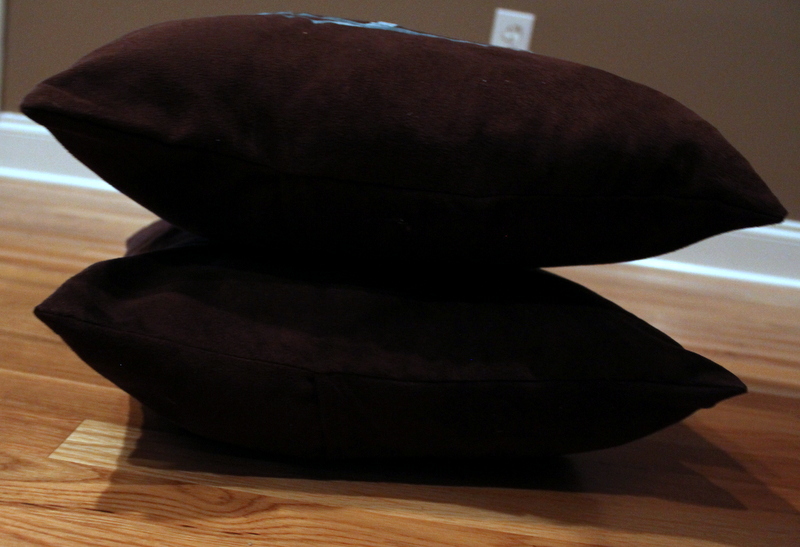 These brown pillows have a long history. 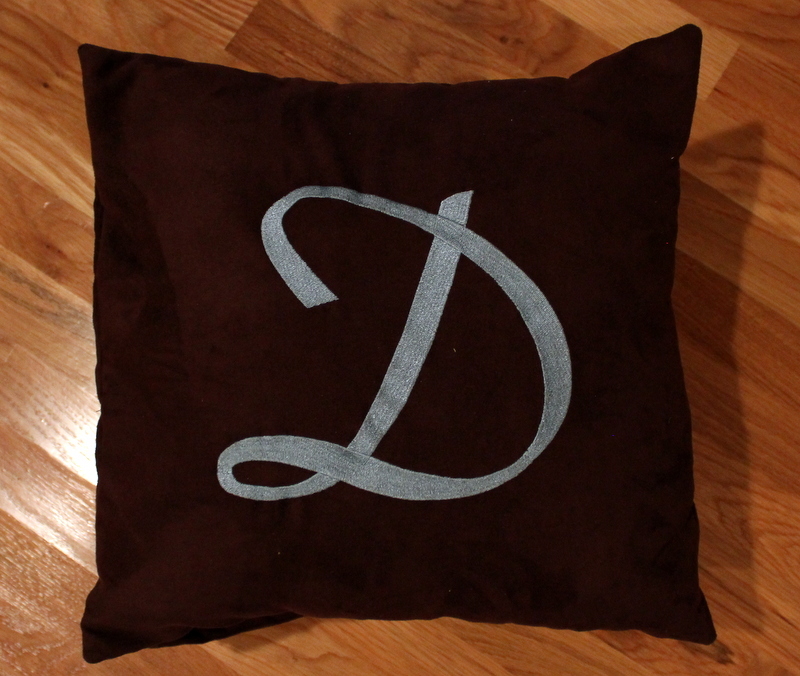 Last year for Mother’s Day my sister-in-law had the fabric monogrammed, and I made pillows out of them. In order to save some money, we used pillow forms from some pillows my mom currently had in her living room. Big mistake! These were not normal pillow forms and I had to re-sew the pillows quite a few times trying to get them tight enough to the pillow. They still ended up being kinda lumpy and I had to put button holes in the back of them to make the envelope closure stay closed. Unfortunately, I made the button holes too big so they just looked kinda tacky. All in all, not a very satisfying project, but I had spent too much time and money on them to change them at the moment (plus i had a brand new baby which meant no time for sewing) so they sat in her living room for a year. With the advent of the blue pillows a few weeks ago, we decided to redo the brown ones (finally!). 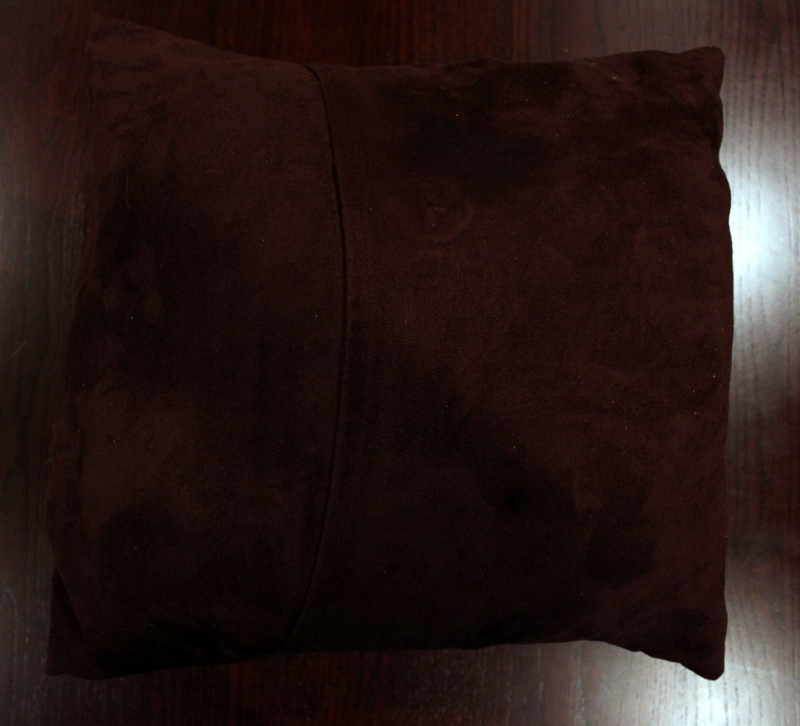 My mom bought some much smaller pillow forms, and I seam ripped the pillows and cut them down to size…much better now! I was hoping to not have to seam rip since there were about 4 lines of stitching around the pillows, but I needed to use part of the seam allowance in order for the envelope closure to be wide enough, so I watched some Olympics this week and ripped my little heart out. The fabric used is a brown micro-suede. For future reference, I would not recommend this fabric for pillows because it shows all dirt and sticks a bit funny to the pillow form- lots of static, but I made it work for this project. I wish I had a picture of the before pillows to show you, but I forgot to take one before I fixed them. Just take my word for it that these look much better than the previous ones! 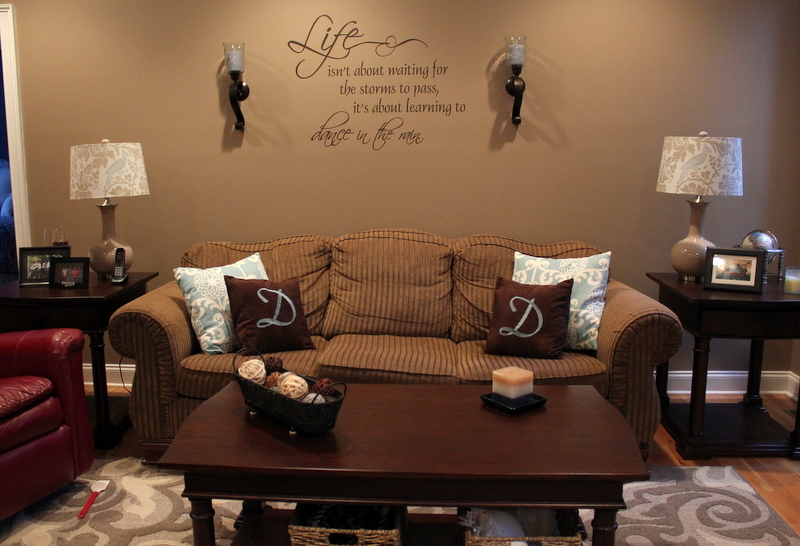 This entry was posted in For the home, Gifts and tagged home, microsuede, monogrammed pillows, pillows by oliver's fancy. Bookmark the permalink.